In today’s digital market even though music is available on download, a great deal of consumers still likes tangible products. We offer short-run duplication as little as 10 copies so you don’t have to break the bank. Our duplication is done on premise and can be ready in a matter of days and your customers will be satisfied with the quality of the work. "Brian Cronin and Mirror Image are my "go to" company for prompt and professional CD duplication services! They do it all at an affordable price with a smile! If you are in need of CDs, website development or graphic design for your next project, this is the place! 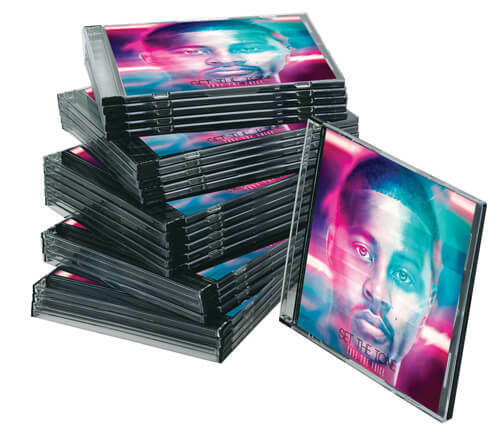 #1StopShopping #ArtistSupport #QualityService "
Discs w/inserts include printing of cover card, cover & tray cards. Shrink wrap is available at $.25 each.